Prof. Itse Sagay (SAN), Chairman of the Presidential Advisory Committee Against Corruption (PACAC), has bemoaned the attitudes of some Nigerians who play the sick game when being tried for an alleged offence committed. 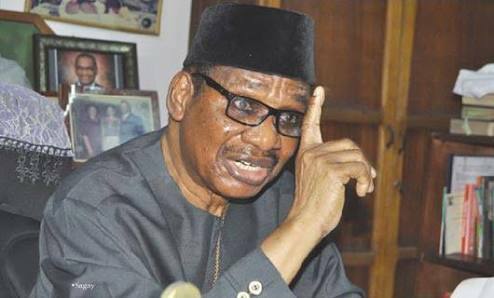 Sagay said it is unfortunate that many public officials commit acts of impunity in sound health but pretend to be sick when being tried in order to whip up sentiments. Reacting to the recent case of Dino Melaye, senator representing Kogi West who appeared in court on Thursday in a stretcher, Sagay told Daily Independent he cannot say whether Melaye is pretending or not until the hospital or court say so.